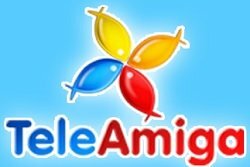 General TV Channel / Teleamiga is a Colombian local television station, licensed by the Fundación Ictus and the La Gran Colombia University, based in Bogotá. It broadcasts family-oriented programmes, mostly with a Catholic stance. In July 2017, the Episcopal Conference of Colombia issued an official statement against Teleamiga, in particular against its weekly program Un Café con Galat with the channel's founder and president Dr. José Galat who calls Pope Francis a "false pope" and rejects recent doctrinal developments of the Catholic faith. In Teleamiga's reply to the bishops' statement, Galat reiterated his position.